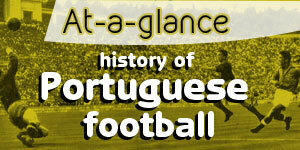 This website’s book corner has laid dormant of late, but it is back with what PortuGOAL confidently predicts will go down as a modern-day classic in football writing. David Bolchover’s biography of Benfica’s two-time European Cup winning coach Béla Guttmann is a powerful portrayal of the Hungarian-born Jew’s remarkable achievements and colossal contributions to the beautiful game. But it is so much more than that. Set against a disturbing depiction of recurring atrocities, it shines a light on the extraordinary capacity of the human spirit to overcome extreme hardship as personified in one man’s survival and triumph amidst the most hideous of circumstances. Before Pep Guardiola and before José Mourinho, there was Béla Guttmann: the first superstar football coach, and the man who paved the way for the celebrated coaches of the modern age. More extraordinarily still, Guttmann was a Holocaust survivor. Having narrowly dodged death by hiding for months in an attic near Budapest as thousands of fellow Jews in the neighbourhood were dragged off to be murdered, Guttmann later escaped from a slave labour camp. He was one of the lucky ones. His father, sister and wider family perished at the hands of the Nazis. But by 1961, as coach of Benfica, he had lifted one of football’s greatest prizes: the European Cup – a feat he repeated the following year. Rising from the death pits of Europe to become its champion in just over sixteen years, Guttmann performed the single greatest comeback in football history. This remarkable story spans two visions of twentieth-century Europe: a continent ruptured by barbarism and genocide, yet lit up by exhilarating encounters in magnificent cities, where great players would strive to win football’s holy grail. With dark forces rising once again, the story of Béla Guttmann’s life asks the question: which vision of Europe will triumph in our times? 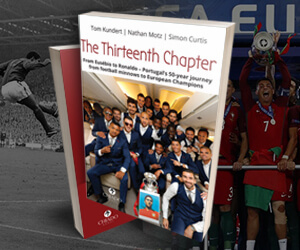 PortuGOAL is giving away two copies of the book. To enter the draw to win it, correctly answer the following question: Béla Guttmann managed 25 clubs all over the world in his illustrious coaching career. At which club did he have his longest stay and for how many seasons? Article update: Over 50 correct answers went into the draw. Guttmann stayed longest at Benfica, for a three-year spell from 1959 to 1962 (he also had an additional year - the 1965-66 season). Congratulations to winners Domingos Santos Jr. and Kevin Lourenco, both from the United States of America, who were the two names drawn out of the hat. 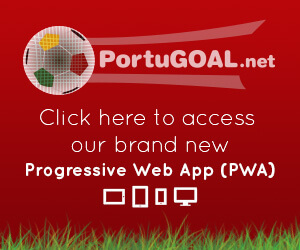 Look out for more book competitions on PortuGOAL in the coming weeks. "The Greatest Comeback - from Genocide to Football Glory" may be purchased from the website of Biteback Publishing, the publisher of the book.